Hello, How can i get my username and password on model page? and what is the problem for you ? 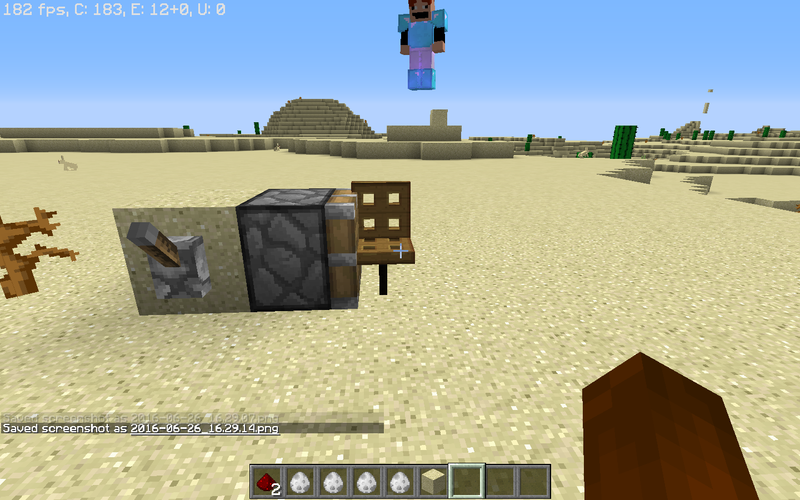 Essentially so we can use the plugin to add in custom modeled furniture and display the corresponding item. 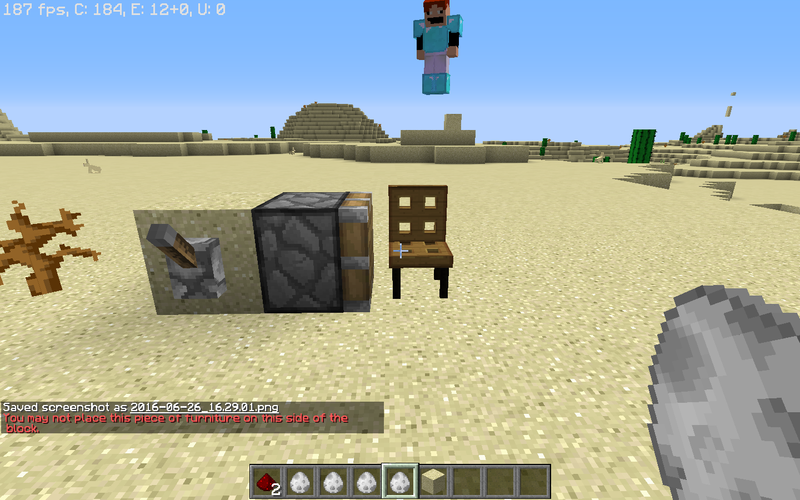 IDs will be removed in 1.13, so you would need the block name instead, but good idea. Hi! I have problem with DiceFurniture. Can you help me? Hi! How to check an entity is the fEntity. I don't use the furniture event. "Caused by: com.google.gson.stream.MalformedJsonException: Unterminated object at line 3 column 96"
I can't use the /furniture create name command either. What can I do to fix these errors? send me your latest log and i can help you. Hi! I want to ask something about your plugin FurnitureLib. Is there any api to check a special furniture? The server owner created a furniture called "OPFurnace"
I know I can use the FurnitureClickEvent but I don't know how to check the furniture. I want to check if the furniture is the same or not in the plugin. is there any way to get a furniture's ObjectID by the furniture ID? Es lassen sich Items verdoppeln bei den kleinen Tisch! Ob es beim großen auch geht weis ich nicht. Man stellt den Tisch auf, nimmt das Item was man verdoppeln will in die Hand, wirft es danach einfach weg und macht rechtsklick auf dem Tisch. Danach plopen die ganze Zeit Items aus dem Tisch heraus wessen Item ich früher in der Hand hatte. die Seiten mit den Commands und Permissions funktioneren nicht, kannst du das bitte fixen? i have an question.. how do i make an stick go right up? Können Sie eine Funktion in protectionlib hinzufügen, wo Möbel in Eier auf einem Grundstück Clearing- oder Löschung verwandelt. Sorry if the german translation is bad. Tried PMing you about it and dont know where to tell you. It is for plotsquared feature as this keeps furniture from looking ugly because of it. Is there a way for the furniture to cause less lag on the server ? it seems to make mine lag a lot ? Hello, I was suggesting you're furniture plugin for a Alt history RP server I play on and they have recently decided not to get it due to the amount of entities used in the furniture. I was wondering if you could maybe shed light on how many entities are used in each piece? Ive been unable to find it anywhere else and it would be really helpful. First, I have a bug with the /furniture remove <type> since the version 0.6b of FurnitureMaker, and secondly i have a question, how can I add an event on my furniture ? 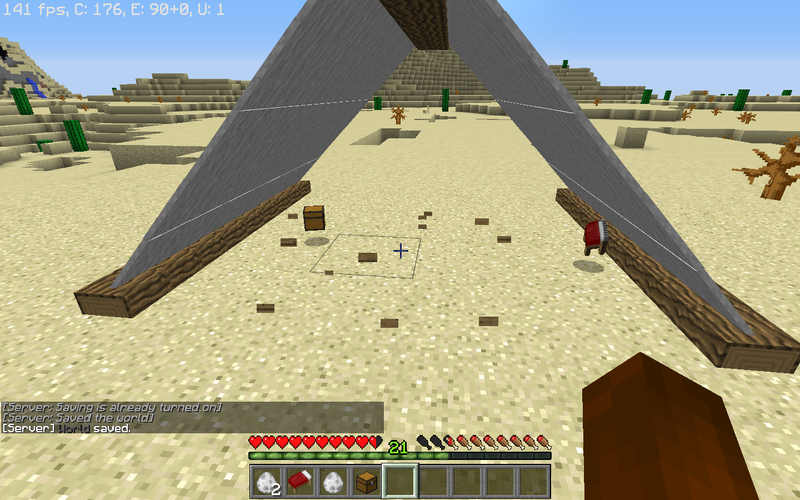 (a click event which open a gui for the player who clicked).